The UFC’s senior vice president and general manager of Europe, Middle East and Africa has parted ways with the company. 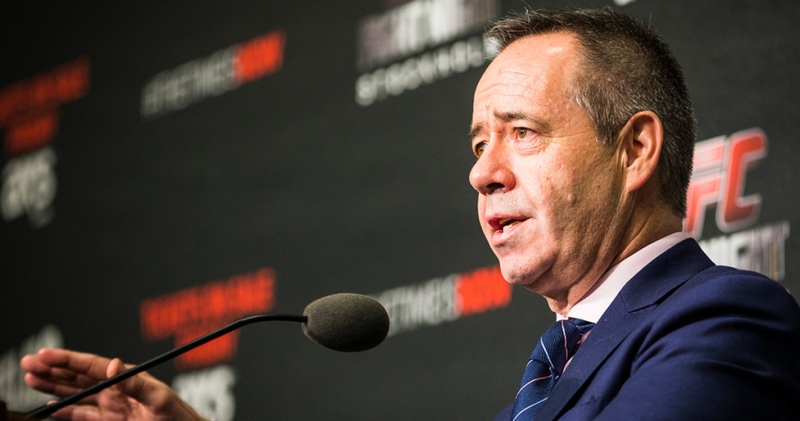 David Allen was named to the position just six months ago and just presidedover the UFC Berlin event this past weekend. The company announced the news internally on Monday. No replacement has been found just yet. The Irish-native took over for Garry Cook in January, who was promoted to UFC Chief Global Officer. Under Allen’s watch, the promotion held a stadium show in Stockholm, Sweden, which is the second-biggest show in UFC history, a successful debut event in Krakow, Poland, and another show in Berlin. The next “EMEA” event is scheduled for July 18 in Glasgow, Scotland, which sold out in minutes. Prior to joining UFC, Allen worked previously for Adidas, Nike and UMBRO, heading up sales efforts and brand development for the EMEA region. Allen joined the UFC in 2013.